Are you looking to be able to ride longer, harder and feel more balanced on top of your edges? If so, Total Body Resistance Exercise (TRX) is the perfect way to get the results you’re looking for and level up your snowboarding! Add this training style into your off-season fitness regime, use it throughout the season to warm up before you ride or as a workout on a day off-snow. TRX trainers are nylon suspension straps that work on the amount of strength and balance that you can expel lifting your own bodyweight. TRX exercises use gravity against you to build core and joint stability while also improving coordination, flexibility, balance and strength. This training system goes a long way in helping your body prevent injury. 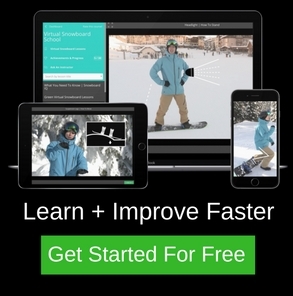 Injury prevention and joint stability are crucial in a physically demanding sport like snowboarding. It is both a cardio and a resistance workout based on the principle of body weight and gravity. It develops functional strength that allows you to effectively lift your own body weight. Low impact on joints. Less strain on the body, no heavy weights needed. Builds and develops functional strength / agility that helps you in everyday activities and snowboarding. Decide on the intensity by adjusting foot placement either further away or closer to the anchor point of the straps. TRX workouts will jack-up your core strength, upgrading all aspects of balance and coordination. Improved core strength will dramatically help your freestyle, ability to jump and stance on the board. Be more adaptable and in control while you ride. Lifting heavier and heavier weights in the gym puts mass on the body. This can limit your mobility and performance in other activities such as snowboarding, skiing or rock climbing. Remaining lean can help keep you flexible and agile. Exercises are easy for anybody to follow and perform without much practice or previous gym history. Perfect for people of all ages, any athlete in training, stay-at-home parents, and those rehabbing an injury. W&R Tip: Having the balance and coordination to remain relaxed, and calm while the board is in motion is crucial. Being relaxed in the body will allow you to adapt and freely move. Traditional isolation exercises which many gym programs emphasize are one-off lifts designed to work and focus on a specific muscle group, usually in one plane of motion (e.g. bicep curl). 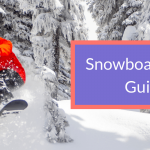 Most of the time they are done sitting down which restricts the ability to challenge and improve the stabilizer muscles in the body and also develop postural strength which is imperative for efficient movement while snowboarding. An isolated style of training is useful for developing aesthetics in the body and strength in muscles, however, it limits and contradicts the natural movement of the body. The body is supposed to be able to move dynamically through a large range of motion, not repetitively in one-dimensional patterns. 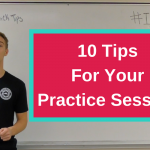 W&R Tip: Isolated exercises can be effective, however, training in this format only can lead to joint dysfunction, a limited range of motion, imbalances in the body and an increased rate of injury. The body may be completely untested and underdeveloped in untrained planes of motion. Isolated exercises with weights need to be supplemented with more dynamic forms of training such as yoga or TRX to develop a functional body. Integrated exercises like those performed with TRX, use interconnected movements that require multiple muscle groups firing in a coordinated effort. Practice functional movements and varying positions to challenge the entire body, especially your core while developing real strength. TRX can be used to test the body in every plane of motion. 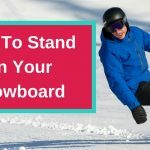 This is crucial in a sport like snowboarding due to the dynamic balancing and stabilizing actions occurring in the body while riding. TRX exercises are excellent if you are in the business of changing your body, mind, and lifestyle. One of the most important aspects lays in its ease of transportation. TRX suspension training straps can be transported and stored in a lightweight bag of around two pounds. For use either indoors or outdoors, without any issues of portability or hassle of setting up. If you purchase a TRX system it comes with a very educational and informative video pack. TRX suspension training helps optimize your physique so you don’t end up with health or agility problems. 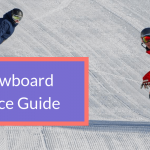 Have all the functional strength and endurance you could ever need in the physical sport of snowboarding. All the improvements in strength, balance, and endurance will allow you to master your snowboard and make you a beast on snow!